Alan Akaka is from a family whose roots are deep in Hawaiian music. His father Senator Daniel K. Akaka, former director of the famous Kawaiaha'o Church Choir, played an important role in Alan's music beginnings and encouraged him through his development. His family gatherings, which included lots of music making, and music education at Kamehameha Schools and the University of Hawai'i further expanded his base in music. Alan established and directed the Kamehameha Middle Schools' Na 'Opio Singers and Hawaiian Ensemble. He was director of the Performing Arts Academy at Kamehameha for 16 years. In 2009 he established Ke Kula Mele Hawai'i, school of Hawaiian music. He recorded with a number of artists including Genoa Keawe, Owana, Nohelani Cypriano, Nina Keali'iwahamana, and Karen Keawehawai'i as well as with Sweden's Simons and a number of Japan artists and groups. 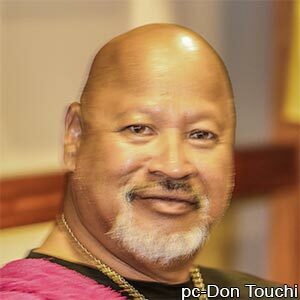 "How D'ya Do" featuring the Islanders was a finalist at the 1987 Na Hoku Hanohano Awards and his solo album "Simply Steel" was a finalist at the 2010 Na Hoku Hanohano Awards. 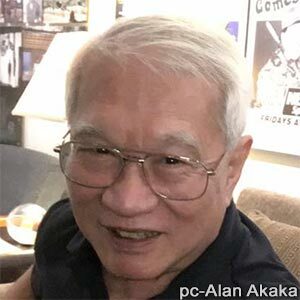 For over twenty years Alan was leader of "The Islanders" featured at the Halekulani's House Without A Key and presently performs at the Waikiki Beach Marriott Resort. He travels throughout the world as an artist and conducts Hawaiian music and steel guitar workshops. In 2012, Alan was inducted in the Hawaiian Music Hall of Fame. In 2014, he was invited as a guest soloist at the International Steel Guitar Convention in St. Louis. He was presented with an award at the 2015 India International Guitar Festival in Kolkata, India. 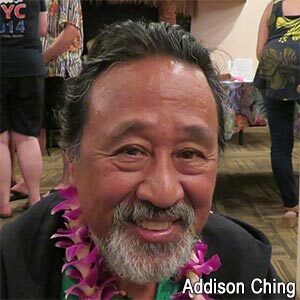 Born and raised in Honolulu, Addison studied electrical engineering in college but made a career in Information Technology and also taught college computer programming courses. Addison has held various IT positions in public and private education at all levels, and retired several years ago from the California State University Chancellor's Office as their Director of Network Support Services. He and his wife Sharon now split their retirement between homes in California and Hawai'i. He has trained in various music disciplines but never had the opportunity to pursue the Hawaiian steel guitar until recently. "Learning the steel guitar is very fulfilling to me, allowing me to 'give back' to my Hawaiian heritage and honor those Hawaiian legends who recorded for the 49th State Records label that was founded by his uncle, George Ching." He is also involved with computers and computer technology, developing and hosting websites and maintaining social media sites. 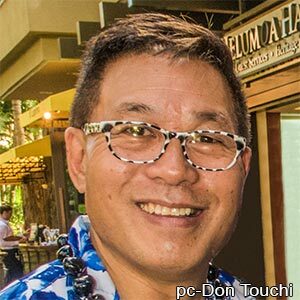 "I appreciate the opportunity to serve on HIMELE's board because it allows me to help perpetuate and promote Hawaiian music and music-related activities." A retired member of the Maui Judiciary, Geri Valdriz is the steel guitarist for the Maui slack key bands "Ola Hou", "Maui Jam", and "The Waiehu Sons". He presently tours in Japan and on the Mainland, playing at steel guitar concerts and hula shows. He is also a steel guitar instructor at Keola Beamer's Aloha Music Camp and guest steel guitarist at George Kahumoku's slack key shows. Geri has recorded four steel guitar CDs and tours on the mainland and Japan. Don graduated from the University of Hawaii with a Bachelor's In Business Administration with a major in management. After college, he owned and managed an insurance agency where he specialized in estate planning and taxes, corporate tax planning and pension planning. He always had music as a part of his life, playing weekends at service clubs and private parties. He served in the 111th Army Band, Hawaii National Guard as a bassoonist. He also played sax and clarinet until his retirement in 1991. He always believed in civic duties and served on the State Plan Policy Council, chaired the City Salary Commission and served on the Motor Vehicle Industry Licensing Board. He also served on the Waipio Little League Board from its infancy and for 10 years. (A number of years later, Waipio became a national powerhouse and played in two championship games, winning one.) Currently, he is in his 14th year servicing the elderly population by entertaining them weekly playing the piano and singing. An avid photographer, Don took up photography because he realized that those in nursing homes will never get to see the outside world. So, he bought a camera and took pictures of waterfalls, oceans and whatever he could, and ran those slides on the T.V. set while he entertained to the delight of those in the audience. "I decided to join the HIMELE Board because I was impressed with the organization's dedication to bringing back the steel guitar to Hawaiian music." Larry has been working for the Department of the Attorney General for the past 30 plus years starting out as a legal assistant to his current position as a child support specialist heading the Interstate section of the Child Support Enforcement Agency. "Working for the benefit of children is what attracted me to the mission of HIMELE," says Larry. 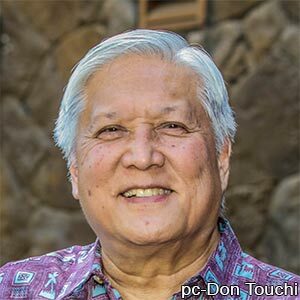 "I have witnessed as a part of the Ke Kula Mele School of Hawaiian Music ohana, children eager to learn how to play the instruments that have contributed to our rich Hawaiian music culture. Some of these children became exceptionally talented steel guitar players." Larry continues, "Learning to play the steel guitar has always been on my wish list and I finally had the opportunity to take lessons from Alan Akaka back in March, 2014. Playing the steel guitar always brings me back to the days of my youth and memories of when things were simple in Hawaii." Larry is also an avid and passionate Harley-Davidson enthusiast and has had the opportunity to ride in places like California, Arizona, Las Vegas, and even all the way down to Key West, Florida. Larry considers riding an adventure and says, "It's not the destination but the journey." "I appreciate the opportunity to serve on HIMELE's board and look forward to the journey in promoting and perpetuating the Hawaiian steel guitar and enrichment of our Hawaiian music culture."